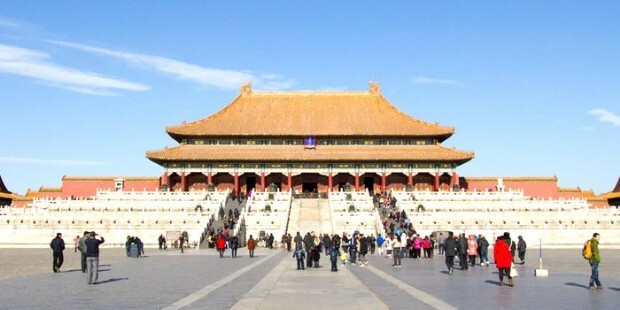 Enjoy the best of Beijing's tourist attractions and also fit in time to experience the charm of the three great golf clubs: Beijing CBD International Golf Club, Beijing Orient Tianxing Country Golf Club and Beijing Cascades International Golf Club. 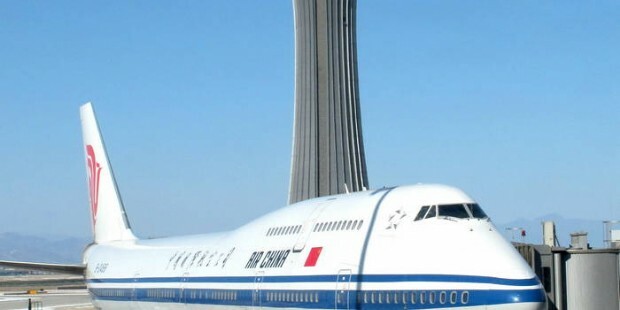 Once you arrive in Beijing your guide will pick you up at the airport and transfer you to your hotel. You are free for leisure the rest of the day. 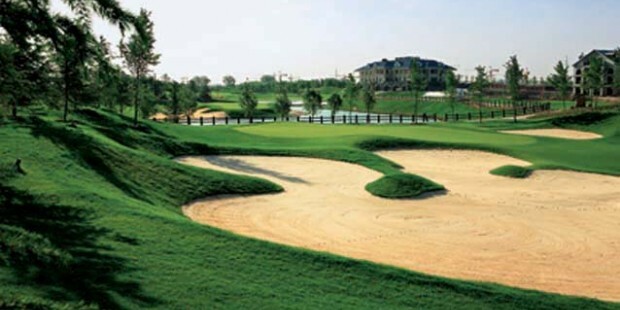 After breakfast, you will play a round of 18 holes golf at Beijing Cascades Country Golf Club. In the afternoon, you are free for your own leisure. Beijing Cascades Country Golf Club: Beijing Cascades Country Golf Club is located in Changying Village, in Chaoyang District. It is right next to the East 5th Ring Road and in the largest ecological landscape zone of eastern Beijing. The club covers an area of 155 hectares and consists of a 18 hole golf course, deluxe villas and a international standard club house. The 18 hole golf course is an Arnold Palmer signature design and the villas were designed by DFS Architects of Canada. 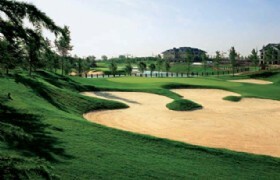 After breakfast, you will play a round of 18 holes golf at Beijing CBD International Golf Club. 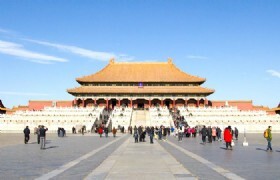 In the afternoon, you are free for your own leisure or you can take a local Beijing tour. Beijing CBD International Golf Club: Beijing CBD International Golf Club is strategically located at Gaobeidian, between the Jingtong Express Way and Jingshen Express Way. It is only 8 minutes drive from China World Trade Center and about 12 minutes drive from the busiest business street of Wangfujing. The golf course covers an area of 135 acres including an 18 hole course, training track as well as fully equipped facilities that necessary for a modern golf club. The golf club was officially opened its door to the public in 2005. 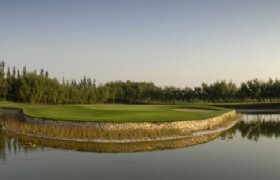 After breakfast, you will play a round of 18 holes golf at Beijing Orient Tianxing Country Golf Club. 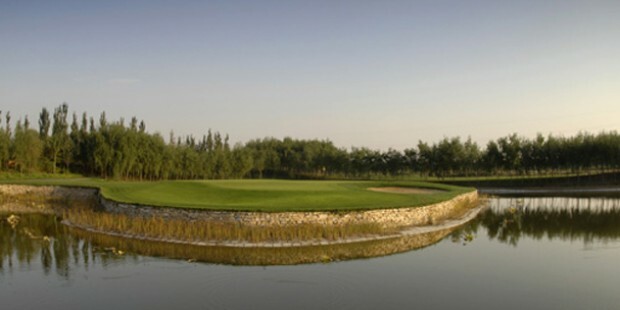 Beijing Orient Tianxing Country Golf Club: Beijing Orient Tianxing Country Golf Club covers 73 hectares and is located near the Olympic Village and features an 18 hole, par 72 international standard course with a total length of 7,018 yards. Its course also has night lighting and is divided into forest and ocean topographies. It also has a driving range with 16 bays of natural grass and 24 bays of imitation grass, which are all equipped with an advanced analyzing machine that will help learners improve. * Black out date: 15th-25th, Mar; 15th-25th, Sep; 15th-25th,Oct. * Golf course rate is based on weekdays. When meeting weekends(Sat.& Sun. 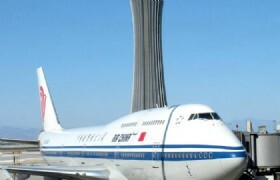 ), surcharge USD 60/Person. Golf course includes Green fee, caddie, Twin share of golf cart & Locker.